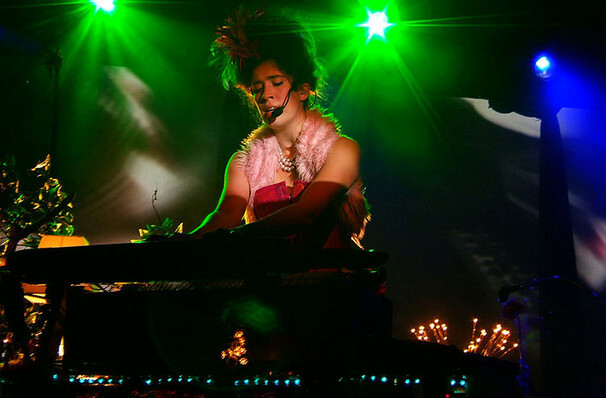 Beginning her fascinating musical journey in the early 2000s, Heap's classical training collided with her love of alternative pop, rock and electronica, making for a distinctive sound that emerged with the release her debut album 'I, Megaphone' and subsequent releases with collavorative project Frou Frou. Unafraid of fusing technology with sound, Heap's experimentations include the use of samples of everyday sounds sent in by fans for her fourth album Sparks as well as the creation of the Mi.Mu gloves, which connect with a musical interface and allow the user to create music with hand gestures and movements. Seen Imogen Heap? Loved it? Hated it? Sound good to you? 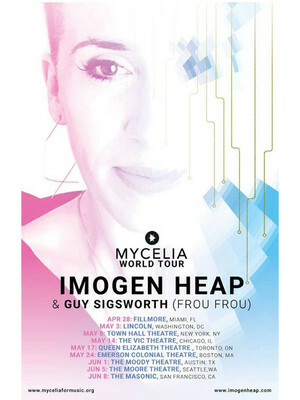 Share this page on social media and let your friends know about Imogen Heap at Queen Elizabeth Theatre. Please note: All prices are listed in US Dollars (USD). The term Queen Elizabeth Theatre and/or Imogen Heap as well as all associated graphics, logos, and/or other trademarks, tradenames or copyrights are the property of the Queen Elizabeth Theatre and/or Imogen Heap and are used herein for factual descriptive purposes only. We are in no way associated with or authorized by the Queen Elizabeth Theatre and/or Imogen Heap and neither that entity nor any of its affiliates have licensed or endorsed us to sell tickets, goods and or services in conjunction with their events.